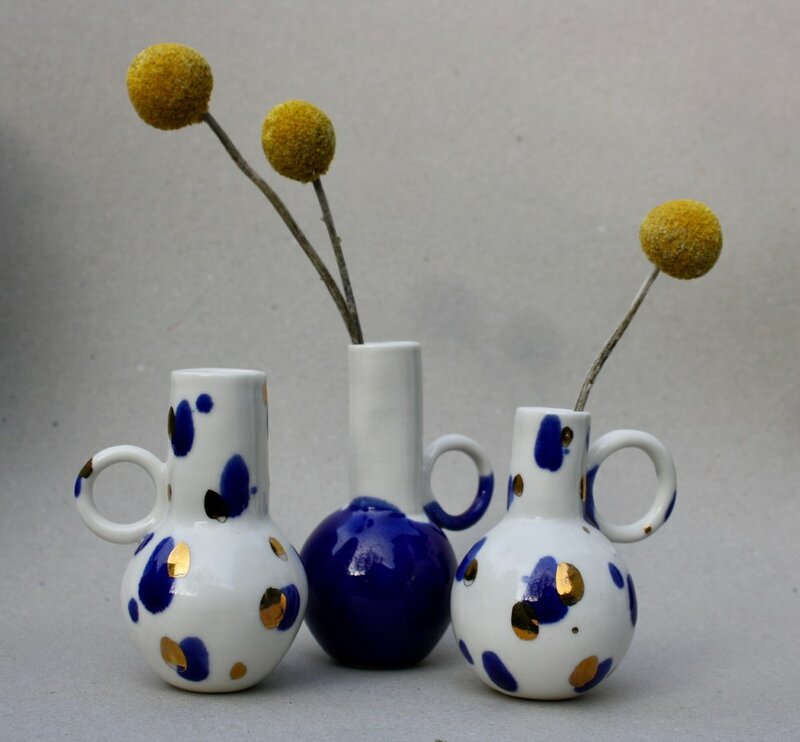 Jade Gallup creates an ever changing range of porcelain home wares, jewellery and decorative objects. After leaving Bucks university with a first class honours degree in ceramics over 10 years ago, she began selling her work under the brand name 'me me me’. With her youngest son recently starting school, she relaunched her business under the name ‘Jade Gallup Studio’ with a whole host of new creations. She has a style that is often described a whimsical, quirky and eclectic. Using a broad variety of techniques she makes every aspect of her work herself, right down to the plaster moulds and the myriad glazes she uses. A born and bred Londoner, she works from her East London home studio.